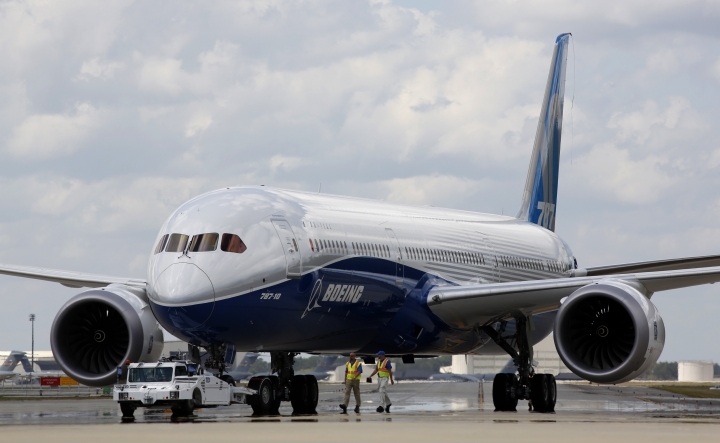 It said in a statement that "premature blade deterioration was found on some engines" of its 787-10 fleet at recent routine inspections. "Pending engine replacements, two SIA 787-10 aircraft have been removed from service," it said. The carrier said it would operate other aircraft on the affected routes to minimize disruption. It said some flights were disrupted but gave no details. Singapore Airlines said it was consulting engine manufacturer Rolls-Royce and the relevant authorities for next steps and any precautionary measures. SIA became the first carrier in the world to fly the 787-10, beginning last year. The 337-seat aircraft includes 301 seats in economy and 36 lie-flat seats in business class. Like many other places, Singapore has grounded Boeing 737 Max aircraft following two fatal crashes of Max 8 planes, in Indonesia in October and in Ethiopia last month. This story has been corrected to show that the Boeing aircraft grounded by Singapore and other countries is the 737 Max, not the 787 Max.